All the amazing flavors of our award winning Surryano in a size perfect for small gatherings. Named for our hometown of Surry, Virginia, the sumptuous world-class flavor of Edwards Surryano Ham rivals that of imported Italian Prosciutto, Serrano ham from Spain, or German Westphalia. The Quarter Boneless Surryanos are hand-rubbed with a dry cure blend of salt and sugar, then smoked for seven days over hickory wood, and aged for more than 400 days to produce their signature mahogany color and rich, distinctive flavor. 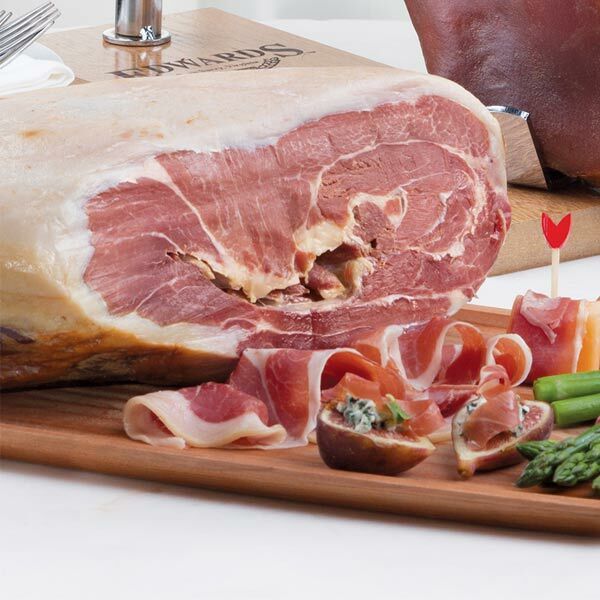 All Surryano Hams are crafted from pasture-raised Berkshire and Red Wattle hogs, which deliver an incredible nutty, umami flavor. When you combine the premium Heritage Breed pork with the timeless tradition of salting, smoking and aging, you get an American charcuterie reminiscent to the hams of old. 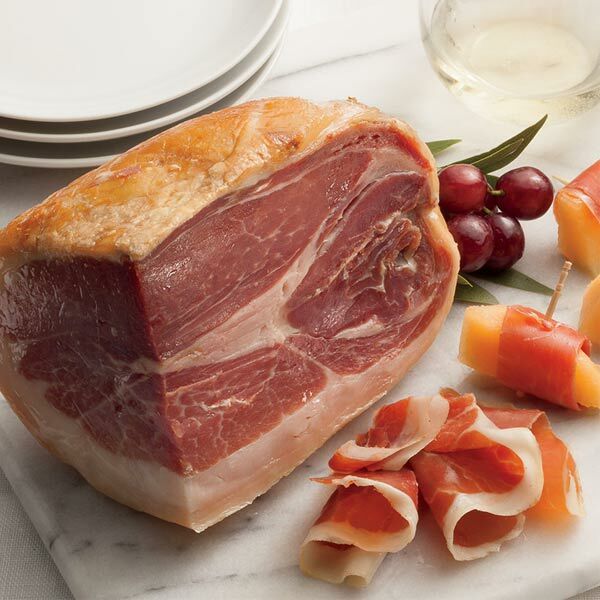 The Quarter Boneless Surryano Ham comes in an easy-to-serve size for small gatherings. The Edwards Surryano ham exceeded all my expectations. I swear it is art you can eat. Silky smooth texture and a unique flavor somewhere in-between a dry salt cured country ham and the finest Italian prosciutto. It has this smooth buttery flavor with just a hint of salt to it. The outer layer of fat adds this creamy delicious finish. It's an incredible ham. We ate most of it either as paper thin slices or along with these super sweet honeydew melons that were coming in later this summer. It's a combination that can't be beat. I just can't say enough about the Surryano ham. It's worth every cent! This is delicious ham that will dress up any meal. Sliced thin enough to see-thru, it is on par with anything you would find just about anywhere including Florence, Italy. The real deal! I substitute for Prosciutto as an antipasto. I use thin slices wrapped around cubes of watermelon or cantaloupe. I also use in the evening as a treat with stinky cheese and grapes.